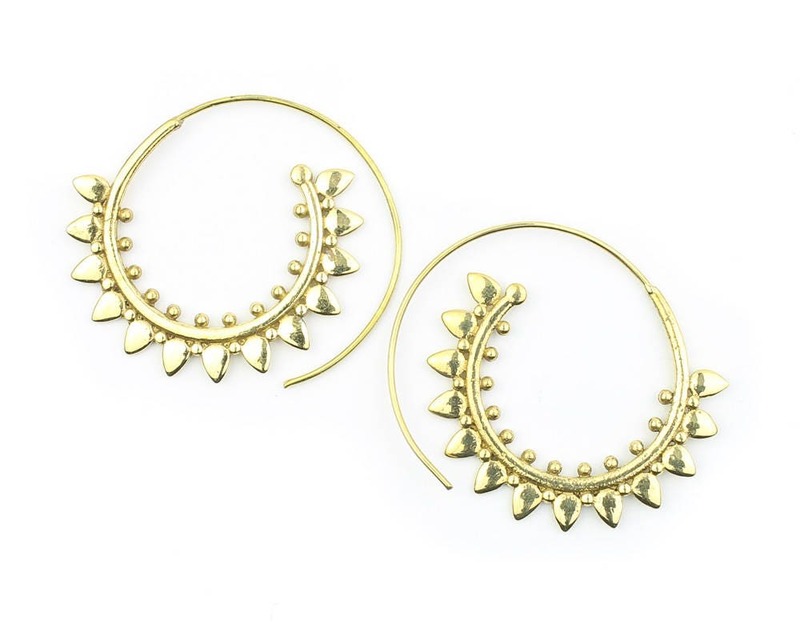 Amazingly detailed brass spiral earrings. Beautiful unique shape. Covered in ornate design.